Irregular Webcomic officially endorses the campaign of Allosaurus for President. 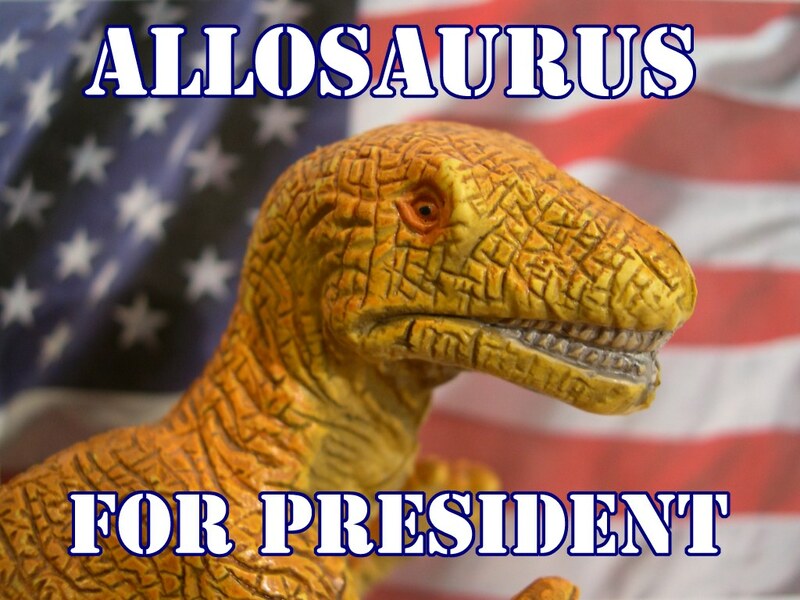 I urge all U.S. readers to cast their votes for the Allosaurus! Current politicians are poseurs. Put a real carnivorous predator in power! Promote global warming to usher in a new Age of the Dinosaurs. Let's make America prehistoric again. Get those bastards at the International Commission for Zoological Nomenclature to change Apatosaurus back to Brontosaurus!!! I'll bite the head off anyone who disagrees.